The Kira Shelving Unit is a stylish shelving unit that will live harmoniously in your modern d�cor. 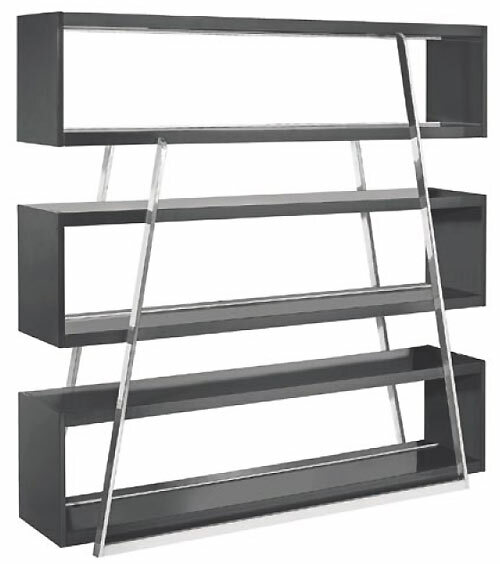 Features stainless steel frame with high polish finish, MDF shelves with lacquer finish. Dimensions: 63"L x 15.75"W x 64.5"H Weight: 230 lbs.